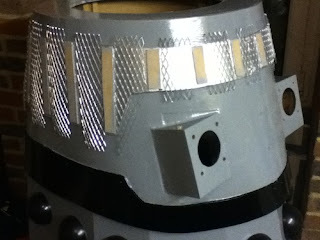 I’m amazed the grey paint I used on the skirts about 8 years ago is still ok, and have added a coat to the waist section. Silver spray on the band, and some mesh from Wickes. Next step is to paint the “solar panels” and fit them.